Allow me, if you will, a work related post. 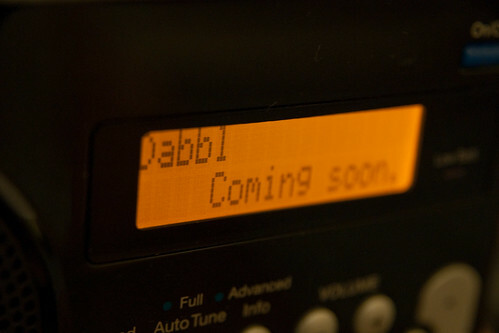 A few minutes ago saw the launch of dabbl, a new radio station from Absolute Radio. It’s an exciting new station that lets listeners choose the music. And for the record, because these things are important to know, the first track played was Bon Jovi and Livin’ On A Prayer. And it’s also the first project to emerge from the brand new Onegoldensquare Labs. If you’re in the UK, you can listen online, and if you live in London it’s on DAB. The station runs from 7pm to 6am daily, so it’s something to listen to of an evening – perhaps when you’re online! Vote early and vote often. Go on. Go vote for some songs. At the moment the choice is strictly live music with most of the tracks being exclusively available on dabbl or its sister stations. But in future it may move beyond simply offering live music.